Sitting in front of a monitor, balancing personal and working life, even sleeping enough are all challenging areas for our health. In today’s fast-paced world, it is really important to stay fit and healthy, as in this busy life, many suffer from problems related to health, mainly myosceletical, gaining fat and stress related. We have filtered out twelve apps that we believe can have a positive impact in today’s modern Greek lifestyle. 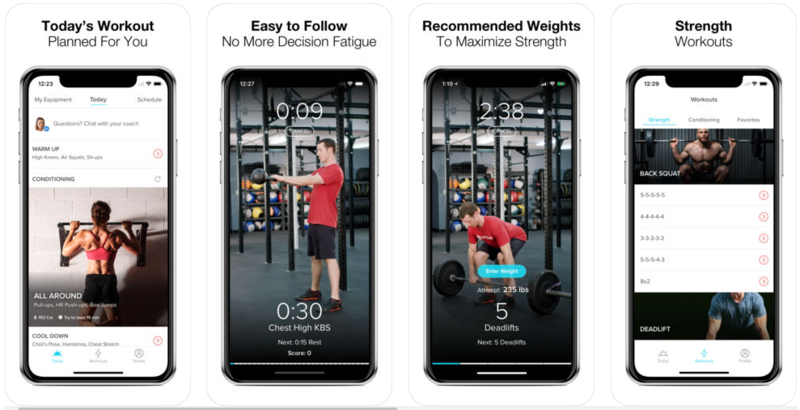 Let’s take a detailed look into some of the best health and fitness apps (Android & iOS) that will help you have a better life and stay fit. 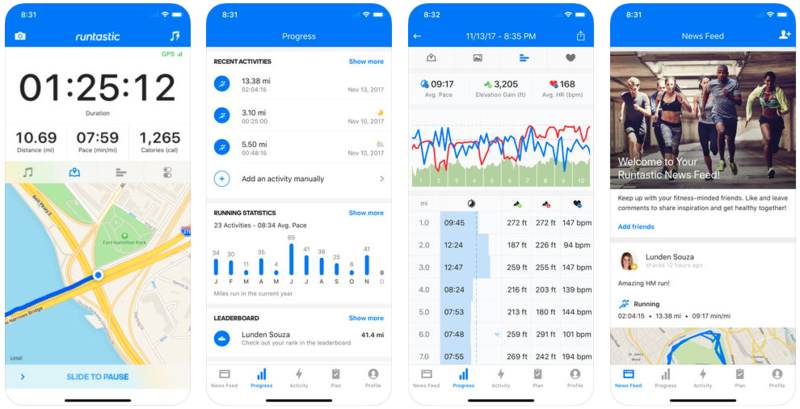 This app can show you real results by working out 7 minutes a day and it makes it a great ‘1st stepper’ for all of us that tend to procrastinate and complain about lack of time. Based on a scientific study, this app is rather more fun and gives the maximum benefit in the shortest time possible. Want to lose weight, get fit or get strong? Just set your goal with the personalized work out plans and rest seven apps will take care of. The gorgeous animations and audio clips for workouts in the app make sure the user focuses on the app completely. It is one of the most known calorie counters both in App Store and Play Store. MyFitnessPal features a wide range of database with literally thousands of products and dishes. 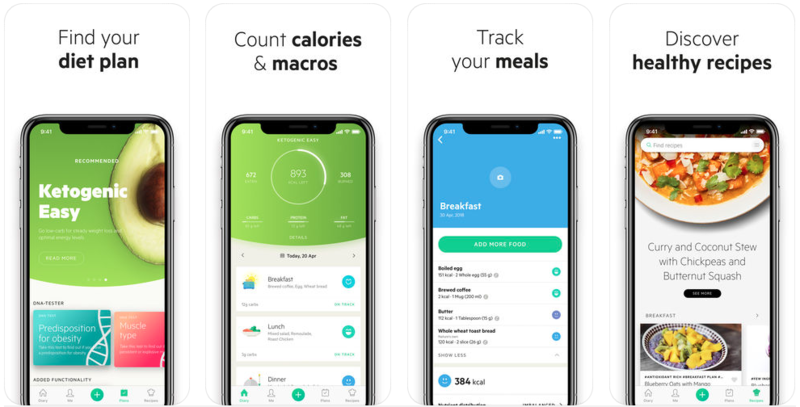 This fantastic calorie counting feature of this app will let you set right goals along with a graph which shows your progress day/week/month-wise. Consisting of both weightlifting and bodyweight workouts, it doesn’t matter whether you are at a gym or anywhere else. Yoga Studio is an excellent application for both yoga starters and professionals. 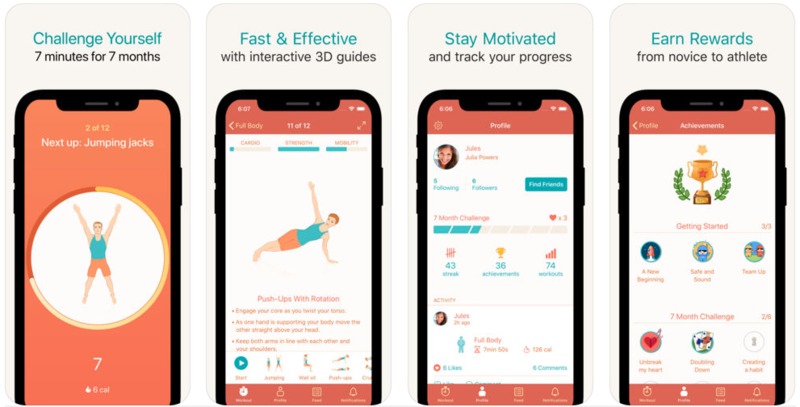 This app features more than 70 yoga classes with full HD video quality, and a vast library of yoga poses with a comprehensive instruction guide and recommendations. Users also get to create their own personalized HD videos by picking the order and the duration of each pose. Once you choose a specific meal plan and a start date (Which usually starts on Monday), you would get daily updates in the form of emails and notifications which includes your grocery list. Also, you can take a quick peek into the quick workouts in the application if you have less time to exercise. 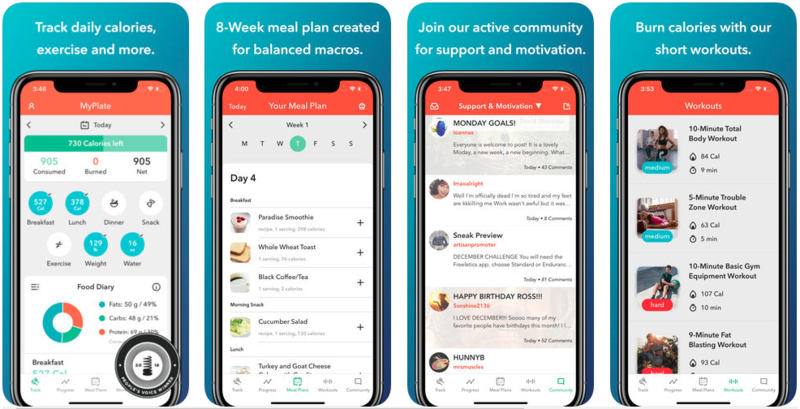 More than just a weight loss app this is a healthy life app that can support users with healthy living in a simplified way and this is the only aim of this platform. As a health savior app, it helps customers enhance their food choices, exercising habit and much more to attain their fitness goals. An app that has won several titles including the ‘The app of the year in 2017 by Apple and ‘Happiest App in the world’ title by Human tech ’. 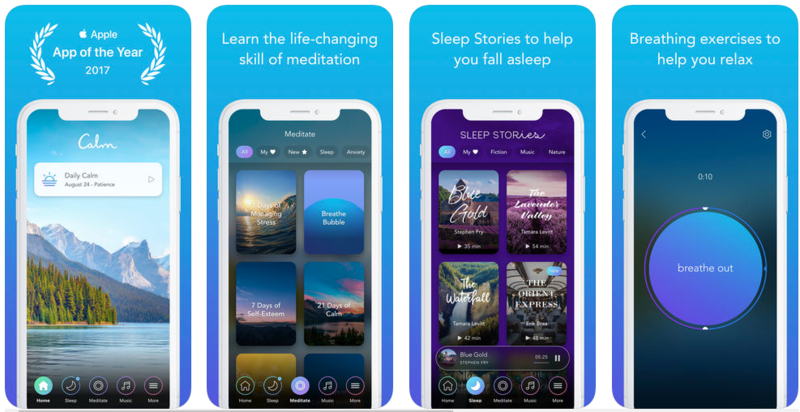 As the name suggests, Calm is known to be one of the best apps for stress relief, sleep, and meditation and to date, more than 30 million people around the globe have downloaded it. 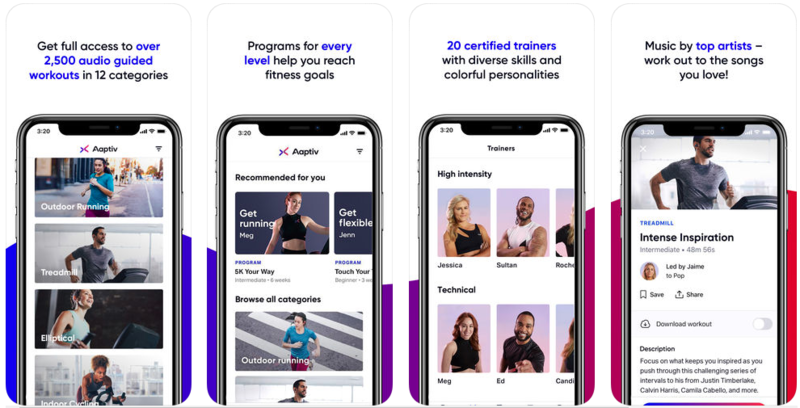 Your Personal Yoga Studio: Yoga apps have come a long way and there are many options to customize the user experiences on your own interest. In this app, classes are themed on basis of nature and are divided into 3 groups: desert (flexibility), mountain (power), ocean (courage) and also has sun salutation A & B. Once you choose from any one of these styles you can start taking classes of 30, 45 or 60 minutes. With an extensive flow and extensive preparatory poses, this app seems to look more useful for beginners. 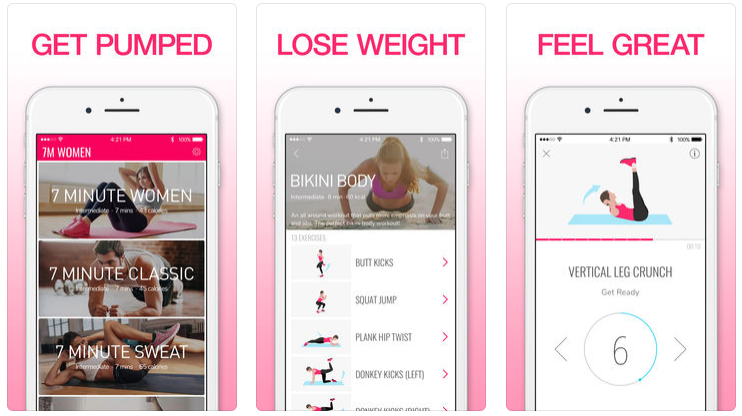 Female Fitness Focused App: An app with scientifically proven methods to improve your health. With short and easy workout methods, this app can surely make you sweat and in turn help you reach your goal. The app exclusively features a mix of cardio and strength building moves like donkey kicks, planks, squat jumps etc. Each workout includes videos and audio instructions that keep the users more focused and motivated. Well, the above listed are the best health and fitness apps to keep up with your workout routines and diet regimes. The hardest part, as with most changes is taking the 1st step! With a bit of dedication and consistency we strongly believe you will set things in motion and you will be thanking your self for doing so!